What’s more romantic than a handmade heart from the fires of Sacrewell forge? In this workshop our resident blacksmith will guide you through the process of cutting, curving, shaping and smoothing a metal heart. You could make one yourself to give as a unique gift, give the experience to your loved one or even come along together and make hearts as a couple. 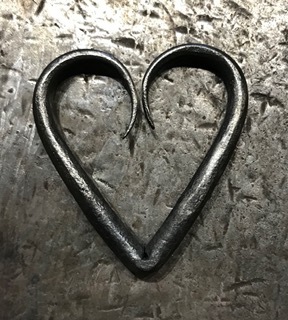 Our Valentine’s Blacksmithing workshops will run on Saturday 9th, Sunday 10th, Saturday 16th and Sunday 17th February between 10:30am and 3:00pm. Simply drop in to the forge during your visit to arrange a suitable time. The experience costs £15 per person, plus farm admission. 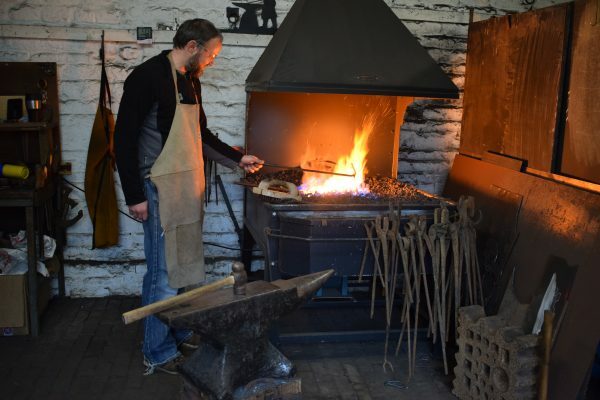 Blacksmithing workshops are suitable for ages 18 and over. If you would like to arrange a workshop for someone under the age of 18, please contact us to discuss the available options.